Wendy McLeod MacKnight wrote the first draft of a middle-school novel sitting at a kitchen table on Vancouver Island. It was the mid-1980s. A St. Stephen native, MacKnight found herself thousands of kilometres away from home on the opposite coast, struggling to find a job while her husband, Barry, worked as an officer with the Royal Canadian Mounted Police. When she finished, she bound it together and, along with a self-addressed stamped envelope, sent it away in the mail. The first submission effort ended the way most do: a rejection letter. The publisher had recently published a similar book, she said, but the feedback was kind. They encouraged her to keep going, to keep working on her novel. “And I put it in a drawer,” she said. Instead, she joined the New Brunswick civil service in 1989 and spent the next 23 years working her way through the ranks to eventually become the deputy minister for the province’s education department – a job that often meant putting in 80-plus hours a week, tethered to a constantly buzzing BlackBerry. It wasn’t until she found herself sitting at her dying father’s bedside in a nursing home that she came to a fork in the road: despite working her way to a successful career, she wasn’t doing what she loved. “I thought, you know, at some point, I packed my dream away,” she said. That moment, she said, marked the beginning of the end of her first career. She left the civil service in May 2013. Three years later and her debut middle grade novel, It’s a Mystery, Pig Face!, is a reality. 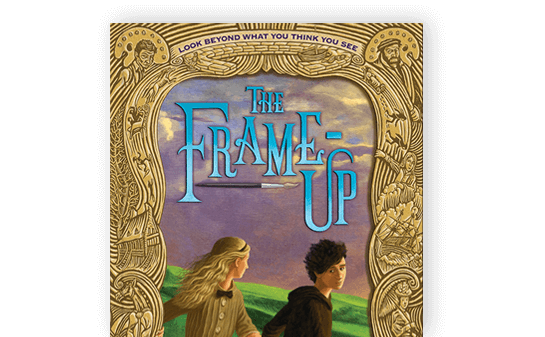 The novel, slated for release in February 2017, follows Tracy Munroe, an 11-year-old girl with three big goals to accomplish before she goes back to school: figure out a fantastic end to a summer adventure with her best friend, Ralph; make sure her little brother, Lester, AKA Pig Face, doesn’t tag along; and get Zach, the gorgeous new boy next door, to notice her. But then Tracy and Ralph discover an envelope stuffed with money in the dugout at the baseball field. Suddenly, they have a mystery on their hands – did someone lose the cash or did someone steal it? Along with Lester, who forces them to let him tag along, the pair hunts for the truth in St. Stephen before they can be accused of the crime themselves. McLeod MacKnight called the work involved in transforming that original draft into one it is today a “mortifying, year-and-a-half-long process” that challenged the perceptions she had about her skill as a writer. “I was a policy analyst for years before I continued to move up. I can write a good briefing note. Still, I could write you one today on anything. I love writing,” she said. To brush up her skills, McLeod MacKnight said she turned to the Internet, where online courses and experts were available at her fingertips. She started rewriting the book, taking in workshops and seeking out critiques whenever she could. One of the people she reached out to was Sheree Fitch – a well-known Canadian author, who’s also from New Brunswick, and sister of a close friend. “I said, ‘Listen. I really need you to tell me if I have any talent. I can do something else,’” she said. The feedback she received was encouraging but also challenging. Fitch told her she could write, and encouraged her to dream big. She should try to break into the United States market. And the only way to do that, Fitch told her, was to find a literary agent. “They’re the gatekeepers,” McLeod MacKnight said. Having gone through a course and completed several rewrites, McLeod MacKnight said that became her focus. She started submitting again and getting requests for partial and full manuscripts. Then it happened: In November 2014, Lauren Galit of the LKG Agency in New York City picked her manuscript out of a slush pile, read it and fell in love with the old-fashioned charm. She wanted more edits, but asked if McLeod MacKnight would sign with her. By June 2015, McLeod MacKnight said her book had been purchased by Sky Pony Press, the children’s book imprint of Skyhorse Publishing in New York. 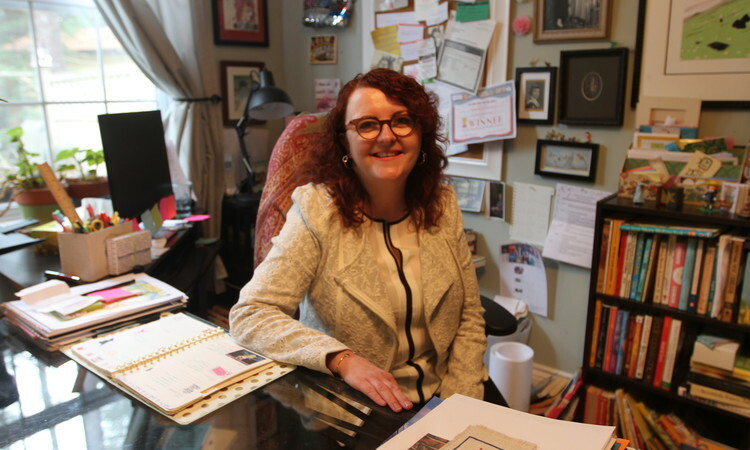 There’s still work to do and edits to be done, but sitting in her Hanwell living room, sipping a cup of sugar cookie tea, she said the three years since she left her job have been a whirlwind. But there’s no secret to her success, she said. And although following the process – including the waiting, the rejections, the editing process – hasn’t always been easy, McLeod MacKnight said it’s been worth it. “My worst day of writing is better than my best day in the civil service,” she said. McLeod MacKnight said she hopes, through her books and telling her story, that she’ll be able to encourage others in New Brunswick – especially young people – to not limit themselves because of where they’re from. That’s a message she plans to bring with her when she visits schools, whether it’s during the six-week creative writing enrichment program she’s set to lead at Garden Creek School this semester or when she returns to St. Stephen Elementary School to talk to the kids when her book is released. “To me, it’s really important to talk to kids about that,” she said. For McLeod MacKnight, that time is now. With publication on the horizon, she said she’s already got other projects on the go, including a novel set in Fredericton and the outline of the follow up to her debut. She still puts in long days, but it’s different now. “I loved my job (with the government) at various points. There were lots of things I was really, really proud of. I don’t regret it at all,” she said. Let the headlines begin. And the inspiring others continue. Way to keep on going WMM! That was a great article. You’ve actually made it happen…..from ADM to author! Congratulations Wendy!!!! Thanks Lynda! It is amazing to think I quit my Deputy Minister job and actually did this!